When visiting one of the most beautiful cities in Italy, it is completely understandable that you would want to stay longer or maybe never leave at all. Rome is absolutely alluring and in a short visit you simply don’t have enough time to see all of the sights and soak in the fabulous atmosphere. A city as rich in history and culture as Rome takes time to explore and fully appreciate. While a cruise is an exciting vacation filled with activities and indulgence, sometimes it is nice to extend and stay a little longer on land. A Mediterranean cruise is a very special choice of vacation, with the opportunity to stop in several different countries. Whether you take regular cruise vacations or you are planning a once in a lifetime trip, it is a great idea to extend your vacation to make the most of your time in this fascinating and picturesque part of Europe. Civitavecchia Port has served Rome since the 13th century. As soon as you disembark you will see reminders of ancient Rome. 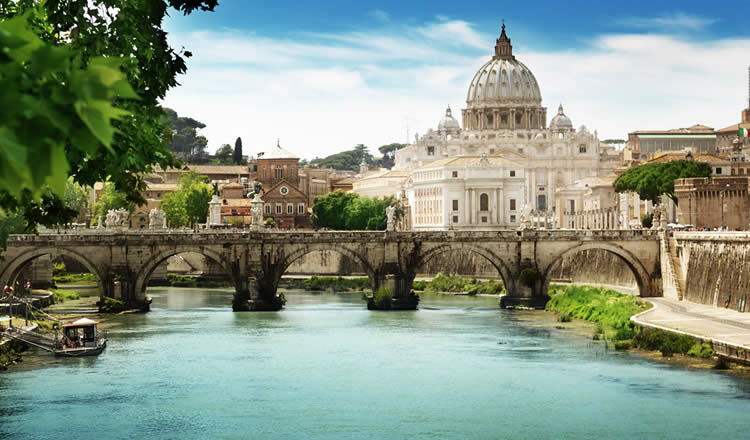 There are a number of excursions which visit all of the famous sights including the Vatican Museums and the Sistine Chapel, the Colosseum, the Spanish Steps and Trevi Fountain. Spending an extra few days in hotels in the Eternal City pre and post your time onboard allows you to experience life outside of the usual tourist areas. If you choose to extend your vacation you can sample more of the cuisine which Italy is famous for, you can slow down and enjoy a stroll while taking in all of the intricate architecture. Choosing to stay in hotels pre and post cruise really maximises your vacation and sight seeing options. You can plan everything that you’d like to see and do and decide which will be better suited to before the cruise and which after. Booking hotels in different areas pre and post cruise may be beneficial for visiting different parts of Rome or places further afield. The most well known sights are located in the centre of the city, in and around Vatican City. There are several nature reserves and parks in Rome and the immediately surrounding areas. Some more modern attractions include Technotown and Said Vintage Chocolate Factory, which are both located on the outskirts of the city. Whether you choose a hotel on the banks of the Tiber River or opt for a chic stay in the heart of the city, you really can’t go wrong. Extend your stay in Italy pre and post cruise in one of the excellent hotels on offer. With hundreds of hotels to select from, take the time to look for deals to suit your budget. Accommodation in a world famous chain hotel, one on a golf course, in the countryside or a contemporary boutique, there is something to suit everyone.